The great Vin Scully turned 86 on Friday. That’s the same amount of years that the Red Sox went between World Series titles thanks to that whole “Curse of the Bambino” deal. 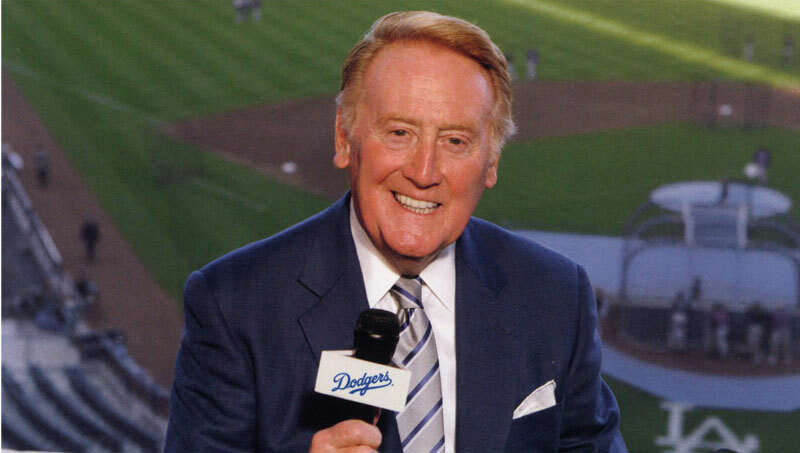 Vin Scully is 86, and in 2014 he will be returning to the Dodgers broadcast booth for a record 65th season. 65 years, that’s usually the age when the average person retires. Instead, Vin Scully has spent an entire lifetime in and around the game of baseball, a feat that few ever experience. I cannot even begin to fathom what it would be like to have a chance to sit and pick his mind about everything he has seen in his 65 years. Scully started calling games for the Dodgers back in 1950, while the team was still located in Brooklyn. Scully had the chance to be mentored by one of the all time greats in Red Barber and was able to witness the last moments of the golden age of baseball, a time when the mighty Yankees were challenged by the underdog bums from Brooklyn and the (baseball) Giants of New York. 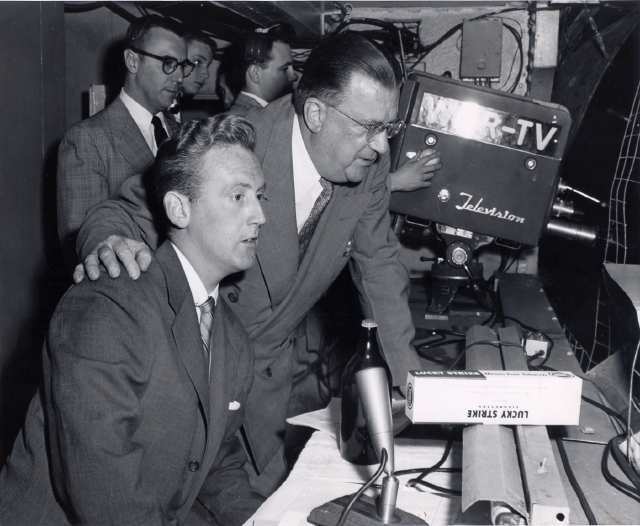 By the end of his first decade in the booth he would follow along as both the Dodgers and Giants headed West leaving New York for the Yankees and expansion Mets. 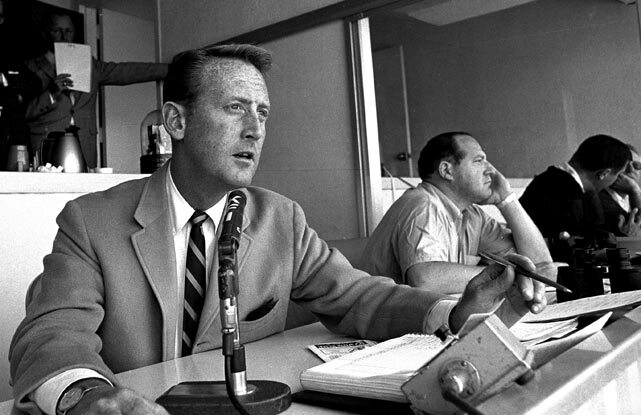 By 1964, Scully had earned so much respect throughout the game that he was offered the chance to be Mel Allen’s successor as the New York Yankees announcer; Vin humbly declined. Besides adding his touch to one of Football’s greatest moments, Scully’s voice has been the soundtrack to multiple memorable moments throughout the history of professional baseball. 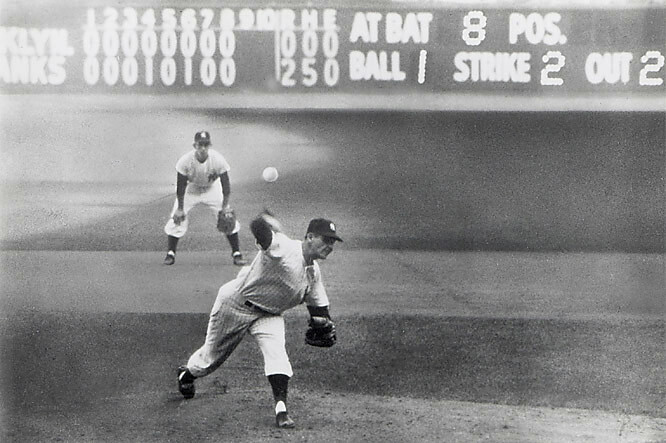 One of his earliest highlights was in Game 5 of the 1956 World Series when New York Yankee pitcher Don Larsen threw the first Perfect Game in the history of the World Series against Scully’s Dodgers. Larsen’s achievement in Game 5 wouldn’t be the only time that a pitcher had left Scully flabbergasted. During their early years on the West Coast, Dodgers fans were lucky enough to have two pitchers capable of shutting down an opposing teams offense any time they took the mound. Those two pitchers were Hall of Famers Don Drysdale and the legendary lefty Sandy Koufax. The two of them gave the Dodgers perhaps the best starting duo in the game during the early 1960’s. Although both were dominant, it would be often be Koufax who would steal the spotlight. Koufax’s perfect game on September 9th, 1965 is still regarded as perhaps the most dominant pitching performance of all-time. Koufax would finish with 14 strikeouts, which is still the current record for punch outs in a perfect game. Sometimes Scully’s calls went beyond the game itself and touched on matters that effected society as a whole. 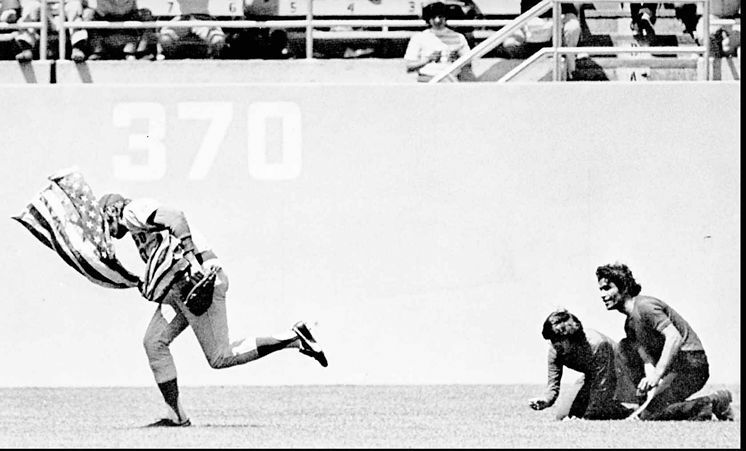 During a game in April 1976, a father and son ran onto the field and attempted to burn an American flag in protest. 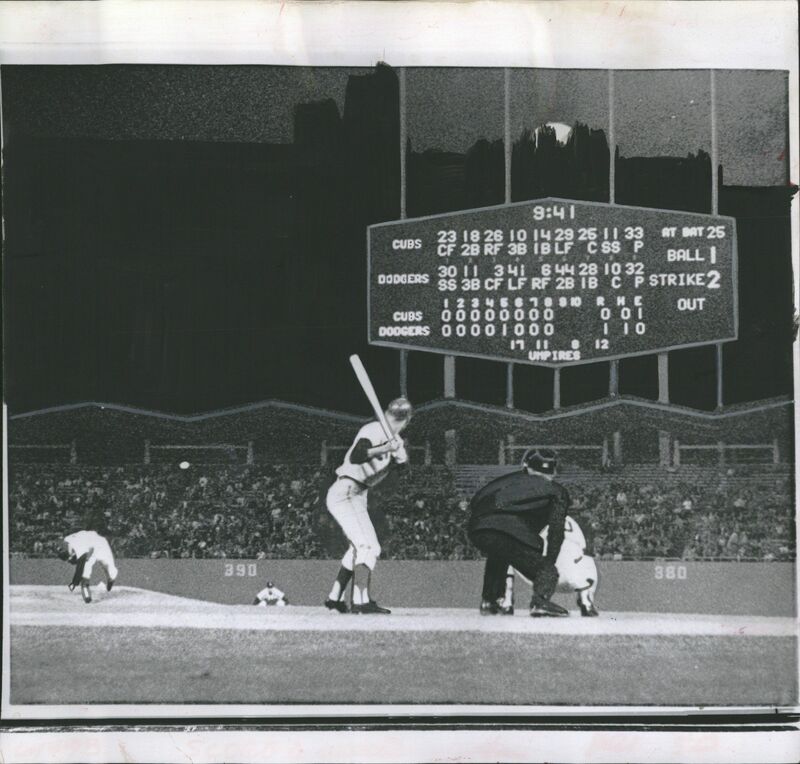 One of the more memorable moments in both baseball history and Vin Scully’s broadcasting career was the night that Hank Aaron hit his 715th career home run and thus breaking Babe Ruth’s all time mark. For month’s leading up to the record breaking home run Aaron, a black man, received death threats and racial harassment wherever he went. The fact that he was breaking a white man’s record and doing so whilst playing in the Southern U.S, caused Aaron stress that few could ever comprehend. So when Hammerin’ Hank connected on #715 and sent it into the Atlanta night, who better than Vin Scully to poetically offer insight into a very sensitive moment in American History. Scully has had the rare opportunity at being able to celebrate and call both the highest of highs, and the lowest of lows. 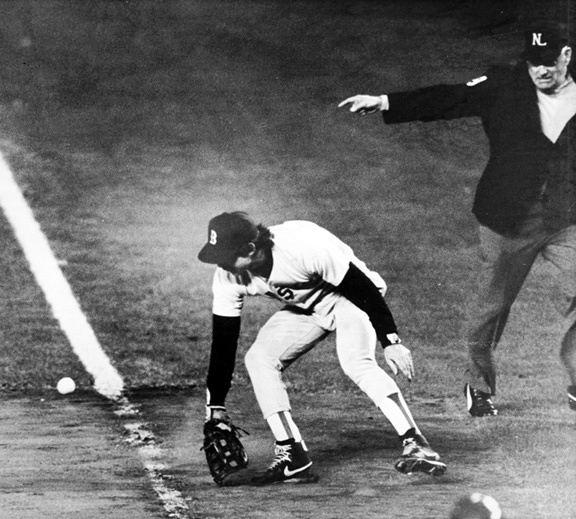 Bill Buckner’s heartbreaking botched play of a Mookie Wilson ground ball, ended both Game 6 as well as any hope of a Red Sox victory. 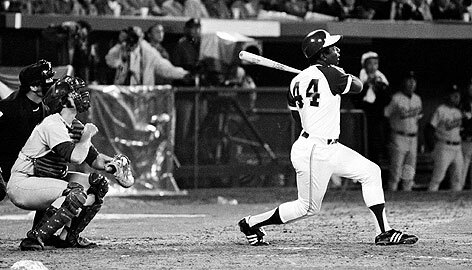 Buckner’s infamous blunder is perhaps the most memorable of all errors and blunders throughout the rich history of baseball. The sad thing is that it wasn’t really Buckner’s fault and he shouldn’t have been in that position to make that error in the first place. The fact that it effectively ended the Red Sox chance to win their first title since 1918 didn’t help Buckner’s case. Sadly Buckner’s name would be dragged through the Massachusetts mud like those of Bucky Dent’s and Harry Frazee’s before his. 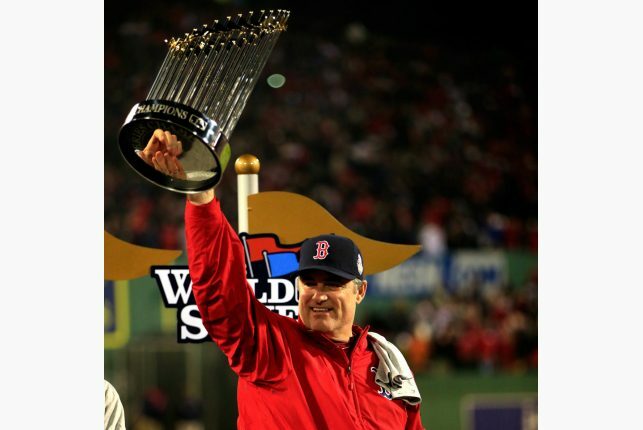 It wouldn’t be until the Red Sox finally got the job done in 2004, that all was completely forgiven between Buckner and the Boston faithful. I still cringe everytime I hear Scully yell “BEHIND THE BAG!” It’s like watching a car crash unfold in front of you. Sometimes you can’t away. If Buckner’s blunder was as low as one can feel, than Kirk Gibson’s heroics in Game 1 of the 1988 World Series have to be the complete opposite. The Dodgers entered the 1988 World Series as an underdog compared to the powerhouse Oakland A’s. What didn’t help the Dodgers situation was the fact that Gibson, their best player in the regular season, was doubtful to play in the series due to injuries sustained in the NLCS. However, prior to Game 1, Gibson notified Dodgers Manager Tommy Lasorda that he could be available as a pinch hitter if necessary. Cue the drama. Bottom 9th. Two out. Runner on 1st. Dodgers are down 4-3 and are facing the best closer in the game Dennis Eckersley. Suddenly Kirk Gibson emerges from the dugout to pinch hit. The atmosphere and mood is that of a gunfight in the Wild West. Scully adds to the moment by proclaiming “Look Who’s Coming Up!” as Gibson hobbled to the plate. Despite falling down 0-2, Gibson was able to find “his pitch,” a back door slider, and deposited it into the Right Field bleachers for a two run, walk off home run. The Dodgers would carry that momentum with them throughout the series and onto a 4-1 series win. The home run has been called both the greatest home run in baseball history, as well as the greatest plays in baseball history. 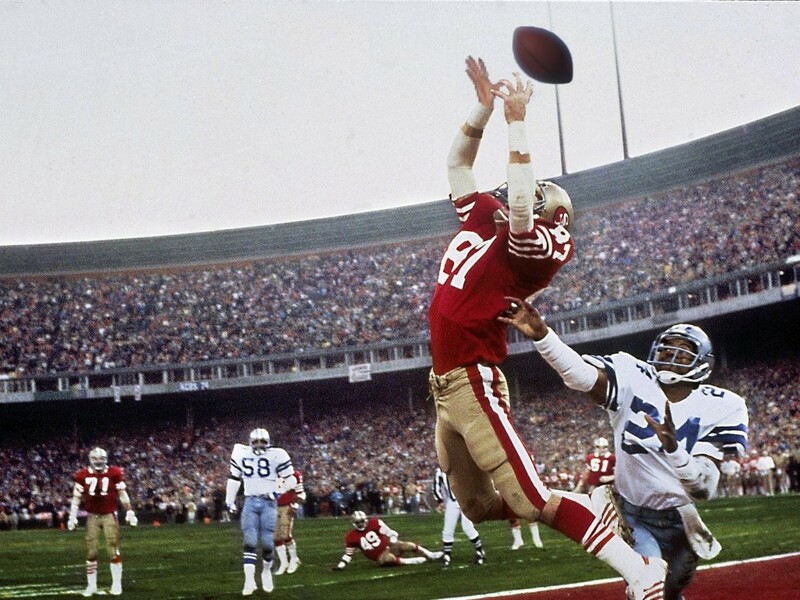 The LA Times named it the Greatest moment in the history of LA Sports in a 1995 poll. 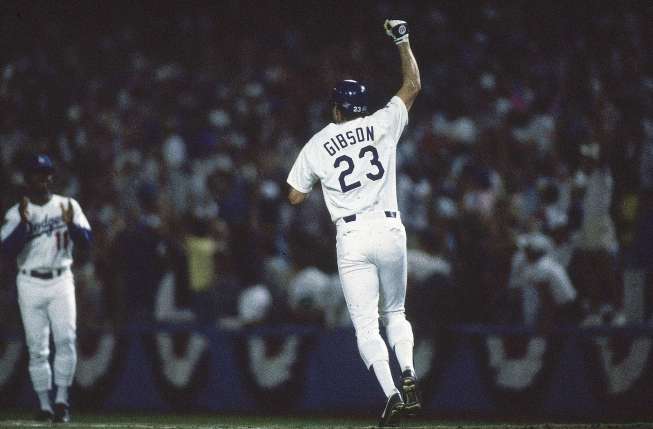 That home run would also prove to be Kirk Gibson’s only at bat during the whole World Series. Still going 1 for and adding your name with the other legends isn’t bad either. As he enters his 65th season, Scully has done and seen pretty much everything you one can see on a baseball field. He even knows how to make the best of any situation that comes his way. He has had the privilege to broadcast 3 Perfect Games, 19 No-Hitters, 25 World Series, and 12 All Star Games. When his career first begin in 1950, baseball was less than three years removed from racial segregation, and even that didn’t mean that the game or society was welcoming blacks and latinos with open arms. Both the game and society have come a long way from those days and Vin Scully was there as a witness to the change in society. It’s amazing to think that during Scully’s illustrious career he has been exposed to almost every single technological breakthrough that has come through the world of sports and sports broadcasting. His career started on the radio and on black and white television sets and now he has the ability to take over the Dodgers official Twitter account and interact with a whole new generation of baseball fans. It’s hard to think of a baseball world without Vin Scully as it is hard to picture a hockey world without Don Cherry. Sadly these legendary figures do not last forever and we should cherish the time we have left with them doing what they’ve done their entire lives. Scully is the voice of baseball in my books. MLB should come with an option to have him take over any game that you are currently watching. I mean even he, the great Vin Scully, would be able to make an Astros/Twins game seem riveting. I don’t understand why this hasn’t been done yet? So until that becomes a reality, cherish what may very well be a legends last season. I know I will be. A little over a year ago the Blue Jays made headlines throughout the MLB community when they orchestrated a ten player blockbuster trade with the miserable Marlins of Miami. The trade was originally centered around 6’7 RHP Josh Johnson, but eventually grew to include one of the best shortstops in the game (Jose Reyes,) a savvy, veteran LHP (Mark Buehrle,) and a backup catcher (John Buck). Less than a month after that trade, the Blue Jays went out and traded their two top prospects (Travis d’Arnaud and Noah Syndergaard) to the New York Mets in exchange for 2012 NL Cy Young Winner R.A Dickey. The Blue Jays and GM Alex Anthopolous were praised throughout the baseball world and were starting to garner attention as a possible World Series contender. There was even talk in some circles that the Blue Jays had one of the top rotations in all of baseball. 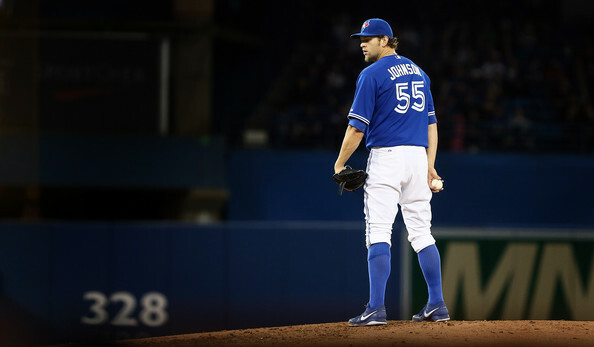 The only real concerns heading into the season was whether or not Josh Johnson, a free agent at the end of the season, would re-sign in Toronto, and if so, what would the cost be? But really, what else was there to worry about? The Blue Jays had gone out and shored up their one glaring position of weakness (starting pitching) in two “brilliant” trades, and all it cost them was some prospects from an already deep system. All there was left to do was to bust out the GPS and start planning the parade route. Here we are at the end of the 2013 season and in the midst of the frantic MLB offseson. Josh Johnson did re-sign today. Unfortunately, or fortunately depending on how you viewed his season, it was not with the Blue Jays. The San Diego Padres and JJ officially announced the signing of a 1yr/$8.5 million contract. This was a far cry from the rumoured 5yr/$100 million contract extensions that were being talked about prior to his disastrous 2013 season in Toronto. To say that Johnson struggled during his one year tenure would be sugar coating it a bit. JJ laid an egg to the tune of a 2-8 record to go along with a 6.20 ERA through 16 starts. Although he did experience a positive career high in K/9 (9.2) he was also a negative WAR pitcher on the season (-1.5). Johnson’s decision to sign in San Diego isn’t overly surprising following his time in Toronto. It was no secret that he was looking to rejoin the National League, and was looking for a one year deal in order to “re-establish” his value. What better place for a pitcher to pad his stats following a dismal season than pitching friendly Petco Park in San Diego. It should be safe to assume that JJ will have a rebound year (could it get any worse?) and maybe will translate that into the payday that he was looking to land this year. 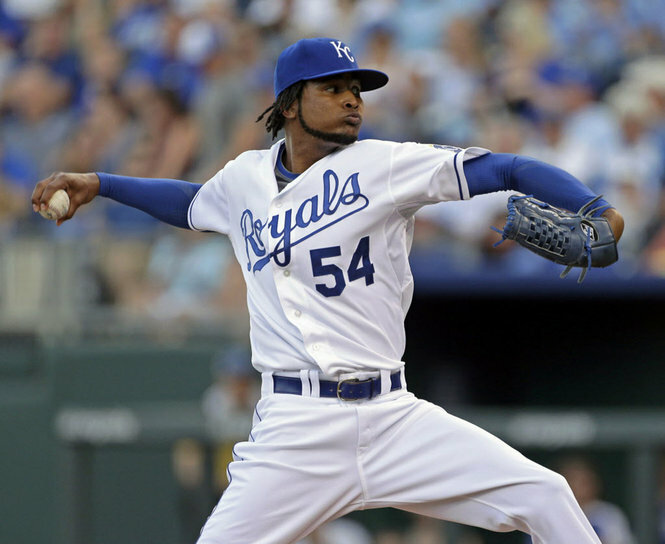 Ideally for Johnson, he will turn out to be next years Ervin Santana. Santana, currently a free agent, was also a negative WAR pitcher following a miserable 2012 season in Anaheim. 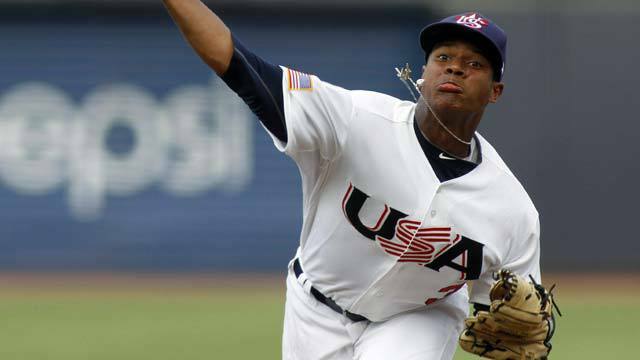 The Angels flipped Santana, as well as cash, to the Royals in exchange for a minor league pitcher. Last year, despite a sub .500 record, Santana pitched remarkably well for the Royals and is currently looking to parlay his season into a multi-year deal in the $100+ million neighbourhood. Are you telling me that former NL ERA champion Josh Johnson isn’t capable of doing the same thing? The best pitcher available (Masahiro Tanaka) hasn’t even thrown a ball in the MLB, and the best of the rest are rounded out by Matt Garza, Ubaldo Jimenez, Ervin Santana, Hiroki Kuroda, and Ricky Nolasco. In order for the Blue Jays, or any team for that matter, to sign any one of these guys is going to take a multi-year deal in excess of $100 million. Are they worth it? No, probably not, but unfortunately that’s the reality of the current free agency market. If you don’t think they’re worth it remember that the Giants did infamously give Barry Zito 7yrs/$126 million deal back in 2007. More recently the Red Sox doled out 5yrs/$82 million to John Lackey in 2010, and the Tigers paid Anibal Sanchez $5yrs/$80 million just last off season. 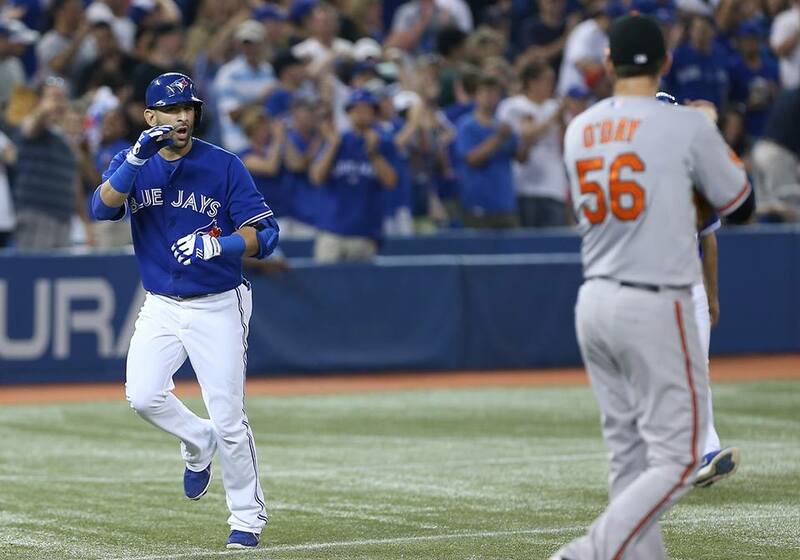 So where does that leave Anthopolous and the Blue Jays heading into the 2014 season? The one glaring take-away from last season was the importance of having depth in your rotation. Last season the Jays were forced to go to war with the Todd Redmond Chien-Ming Wang, Ramon Ortiz and the rest of the Buffalo Bisons starting rotation. I’m sorry, but in no world can you even dream of contending when you’re giving away (multiple) starts to those names; even spot starting them isn’t in the best interest of any (wannabe) contender. Luckily, with Drew Hutchison, and Kyle Drabek returning from Tommy John season, and prospects Sean Nolin and Marcus Stroman expected to start in AAA, this years AAA call-up offer more hope than the turd sandwich that was served up last season. The Blue Jays are also counting on a healthy return from Brandon Morrow, but how much can you expect a guy coming back from forearm issues to contribute? Morrow isn’t the only question mark either; there is also the question of if and when Ricky Romero will ever be able to return to the starting rotation in Toronto. Despite spending nearly the entire season in AAA Buffalo, Romero didn’t put up the numbers that makes you believe that he is ready to return to the bigs. That leaves us with two legit starters in Dickey and Buehrle (a combined 74 years of age come Opening Day,) and a handful of question marks in Morrow, Hutchison, Drabek, Romero, and converted reliever Esmil Rogers. Clearly the only real choice the Blue Jays have is to go out and add an arm or two via free agency or trade. The top tier of the free agency market is most likely going to prove to be too rich for Anthopolous’ and the Blue Jays blood. The Blue Jays will be rumoured to be in on the Garzas, Jimenezs, and even Tanakas because a) the Blue Jays have had prior interest and b) Alex Anthopolous has a history of not quelling rumours in order not to tip his hat. That being said, expect the Blue Jays to search through the ‘buy one get one’ and bargain bins of the free agent market. 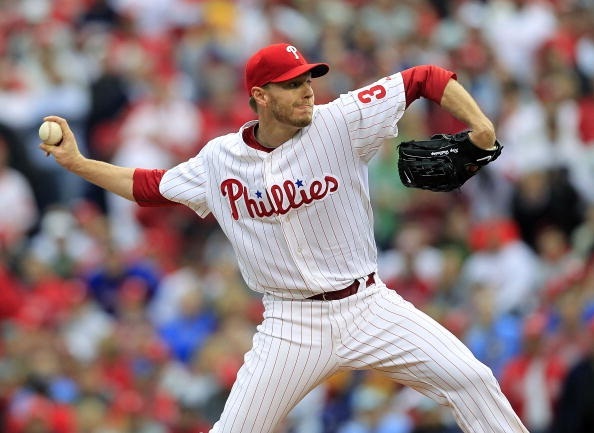 I’m sure I’m not the only Jays fan who has thought/dreamt of a possible reunion with the good doctor Roy Halladay (a current free agent) but Roy is not Roy anymore. Halladay is 37 and is coming off his worst season since his rookie year in Toronto, throw in the fact that he is coming off major shoulder surgery and his fastball is barely hitting 89mph and you have to wonder how much interest the Jays have in the Doc. It also doesn’t help that the Blue Jays already feature two soft tossing starters in Dickey and Buehrle, and play in the offensive friendly American League; more specifically in the meat grinder that is the AL East. Other former Blue Jays who are looking for employment and a new team are Shaun Marcum and AJ Burnett. Both seem very unlikely candidates for Toronto though as Marcum is coming off major shoulder surgery and is throwing softer than R.A Dickey (minus the knuckleball), and Burnett is looking to stay in the National League. Perhaps the Blue Jays could take a flyer on a pitcher trying to re-establish their value following an injury plagued year like Gavin Floyd or Colby Lewis. They could also look to add an arm or two that have previously pitched in the AL East like Scott Feldman and Jason Hammel who were with the Orioles last season, or Scott Kazmir who pitched the bulk of his career in Tampa Bay before resurrecting it in Cleveland last season. One interesting name would be one-time Yankees prized prospect Phillip Hughes who has fallen from grace and is currently looking for a new gig. Hughes has not only pitched in the AL East, but also has 40 innings of experience pitching in the playoffs. Yet Hughes is just another interesting candidate with an injury history; tis the tale of the free agent pitching market. It’s no secret that Anthopolous is not shy to pull the trigger on a trade, and he very well could look to dip back into his farm system to acquire the arm(s) he covets. The only problem with that is that the Blue Jays farm system isn’t as bountiful as it was a year ago. That being said it is not like the Jays are without prized prospects; the best being RHP Aaron Sanchez and RHP Marcus Stroman. 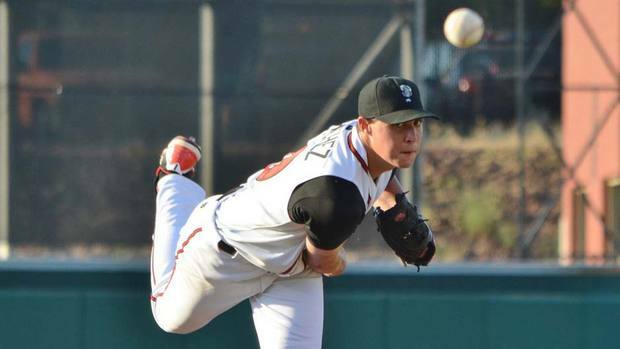 Both are ranked in the MLB top 100 prospects, have the make-up of front line starters, and both are coming off exceptional showings at the Arizona Fall League. Any trade for a top caliber arm will most likely involve one of them, perhaps even both. The only downfall in moving one of Sanchez or Stroman is the redundancy of trading pitching for pitching. Even with the Blue Jays currently in year two of Anthopolous’ three year “window of contending” you have to assume that AA will only include one of his prized pitching prospects in a trade if the return outweighs the cost. The Blue Jays could also look to move some of their immense depth of bullpen arms and outfielders in order to land an arm or two in return. Possible trade partners could be found in St. Louis, Oakland, Arizona or even Atlanta. All those teams are pitching heavy and could use help in both the bullpen and outfield. The most intriguing names available on the trade front are Tampa Bay ace David Price and current AL Cy Young winner Max Scherzer of Detroit. As exciting as landing one of those names would be, it does come at the cost of trading within your league, and within your division in the case of Price and the Rays. The Blue Jays have also been rumoured to be in talks with Theo Epstein and the Cubs regarding their ace Jeff Samardzjia; a trade that would see the rebuilding Cubs wanting a top prospect or two in return. The feelings of optimism and hope that were there before the 2013 season have been replaced with those of unease and despair. Last season they were favoured to run away with the AL East crown and make it to the World Series only to wind up flat on their face looking up from 5th place in the East as their former manager won a World Series with a division rival. This year, the Blue Jays have the daunting task to prove that last year was indeed a fluke and that they are still the same team that was expected to contend. In order for the Blue Jays to have any kind of chance to even be in the conversation for contending in 2014 they must, MUST address their needs on the starting pitching front. Whether that is addressed by trade or free agency, the next few weeks should be more than interesting when it comes to wheeling and dealing. ESPN insider and former MLB GM Jim Bowden has come up with hypothetical player acquisitions for every AL team, whether it be a free agent signing or via trade. For the Blue Jays, Bowden suggest a hypothetical six player blockbuster proposal with the Cincinnati Reds. The trade would see the Blue Jays give up four players and receive two in return. Clearly the Blue Jays would be getting the best player of the lot while giving away a handful of prospects and an above average LHP. The trade would also see the Blue Jays net a potential starting/backup catcher in Hannigan. Although Hannigan hit well under the Mendoza line last season, his 2012 season does show some promise. It’s hard to imagine the Reds saying yes to this deal, especially with Cecil being the big name going to them in return. But can you honestly imagine a more exciting double play combo up the middle than Phillips and Reyes?! At the same time, both players injury history could leave the Blue Jays with the most dynamic double play combo on the DL. 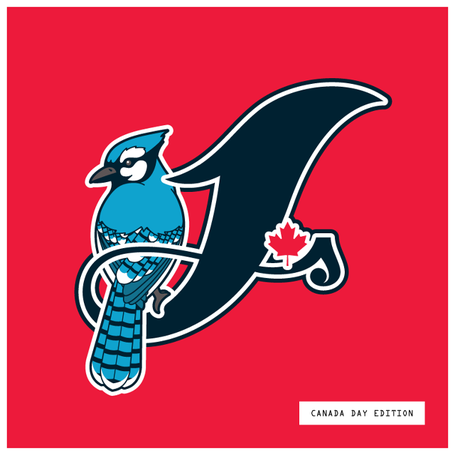 A Toronto based artist named Steve Preisman has designed a reimagined logo for the Toronto Blue Jays. 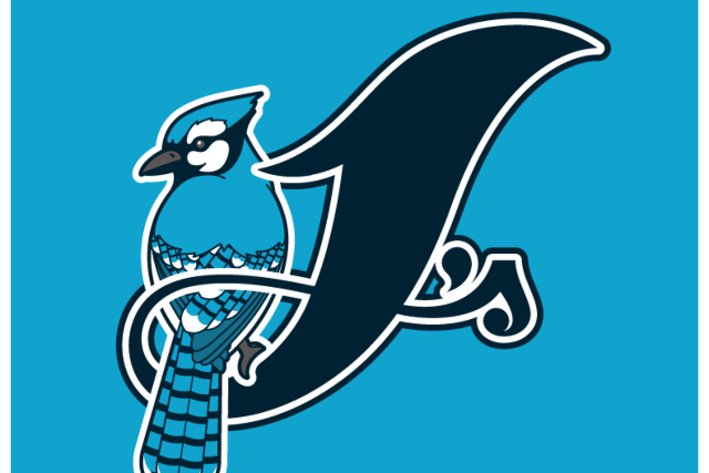 Preisman openly admits that “he is not trying to replace the current logo,” but rather create something that “will look cool on hats.” The only real issue is that the Blue Jays are short formed to the Jays and not the J’s. Either way it is a unique and classy take on an already classic logo. Preisman even kept our Canadian pride in mind for his take on the Canada Day version. Is It Time To Deal Joey Bats? For the past week one of the trending topics in the hot stove world that is the MLB offseason was the rumour that the Blue Jays were shopping the face of their franchise and perennial all star; Jose Bautista. It is no secret that the Blue Jays are currently on the hunt for quality starting pitching (not to mention a starting second basemen and catcher) and Bautista would be the most coveted of all the current Blue Jays. The case for moving Bautista is pretty simple: He’s the Jays best trading chip and in theory should yield them the best haul in return. The case for keeping him is also pretty straight forward: He’s the Blue Jay’s best player (when healthy). Like a U2 song, the question at hand is whether the Blue Jays have a better chance winning with Joey Bats or without him? When healthy, Bautista is among the elite players in the game today. He’s one of the best power hitting right handed batters, and is an above average defender whom is capable of playing multiple positions. Unfortunately for Joey Bats, remaining healthy has been easier said than done for the past two seasons. In 2012, Bautista missed 70 games with an injury to his left wrist. Bautista had originally been placed on the 15 day DL with what was described as a wrist strain/inflammation on July 17th. Bautista injured his wrist in the 8th inning after fouling off a pitch. Upon following through, Bautista grabbed his wrist in pain and crumpled in a heap at home plate. After undergoing multiple MRI’s on his wrist, he was activated prior to a weekend series with the Orioles in Baltimore on August 24th. On the 26th, two days after coming off the DL, Bautista would be removed from the game after he re-aggravated his wrist. This time the extent of the injury was far more severe. Bautista had to have season ending surgery to repair a tendon sheath in his left wrist. 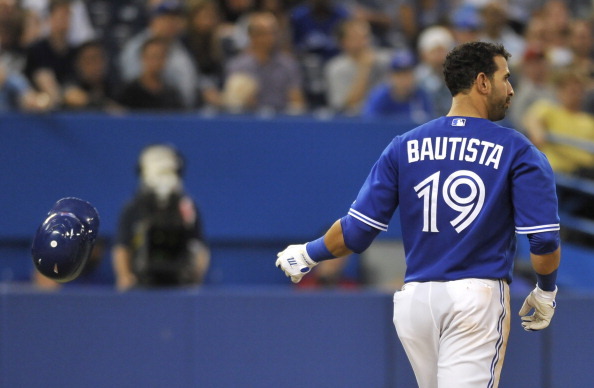 Following a six month rehab, Bautista hit the field ready to redeem himself in 2013. Luckily for both the Blue Jays and Bautista, his wrist came back stronger than before and he did not experience any setbacks from the surgery. 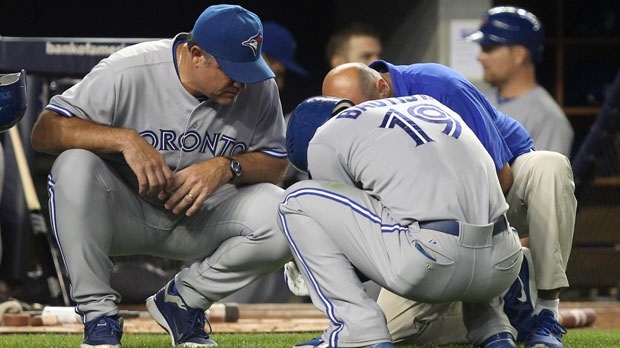 Unfortunately for both parties, Bautista would have his season cut short again after he was shut down on September 4th, with what was called a hip bone bruise. Now you can’t blame the injuries on Bautista, and you can’t fault a guy who plays hard day in and day out. The problem is that the MLB season is long and arduous, and it does exact a physical toll on the bodies of those involved. The hard thing for those players though is that they get slapped with labels like “soft” and “injury prone,” when in fact it’s neither of those. What are equally hard is the decisions a front office and GM are faced with regarding these players with an “injury history.” Bautista is a player who has the unfortunate task of playing half of his games on the unforgiving playing surface that is the Rogers Center’s turf outfield; and that’s not even factoring in the nine games or so that he plays on the equally as dismal surface at Tampa Bay’s Tropicana Field. Sure the easy call is to have Bautista DH more of those game and thus limit the wear and tear on his legs. The downfall to that is by doing so you would remove one of the Blue Jays better defenders and there is the fact that he still has to run on the surface to run the base paths. When it comes to the health risk that is associated with Joey Bats you have to assume the risk of an injury is DEFINITELY worth the reward of a potential full, healthy season. Put it this way, do you think any other team’s GM would hesitate in making a call to Toronto if they knew it was open season on Jose Bautista? One of the bigger concerns with Jose in the past few seasons besides the health concerns has been his role as a leader in the clubhouse, or maybe lack of it. With the Jays wrapping up another dismal season in 2012, Omar Vizquel came under fire for critical comments he made about the “relaxed” environment in the Blue Jays clubhouse. These comments turned heads because of a) the source (Vizquel) was a very respected member of the baseball community and b) they came in the wake of the Yunel Escobar Eye Black affair and the Brett Lawrie helmet tossing incident. Clearly the Blue Jays had an internal issue on their hands. 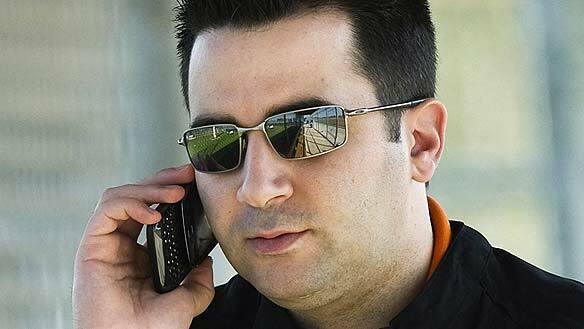 The front office did it’s part by shipping Escobar out of town in the Marlins mega deal and focused on bringing in character players (Mark DeRosa) who could help control the young Blue Jays. Unfortunately, despite the veteran signings, the clubhouse still lacked a distinct voice; a true leader. Jose Bautista is supposed to be that leader. The Blue Jays are supposed to be his team. Unfortunately for the Blue Jays, Bautista has a tendency to act like a toddler in the midst of a temper tantrum whenever something does not go his way. Last season it appeared that the Blue Jays were getting squeezed at home plate and receiving more unfavourable calls against them. Anybody who watched more than five Blue Jays games last year could tell you that the main reason for this was Bautista. Jose has a TERRIBLE habit of arguing, complaining, and whining to the umpires whenever he feels he has been wronged… and trust me he feels wronged A LOT. The problem isn’t that he argues, it’s with HOW he argues and HOW OFTEN he does it. A bigger problem seems to be how the other, younger, more influential Blue Jays have also started to follow in Jose’s path of pouting. Take the Brett Lawrie helmet incident of 2012. Lawrie gets two low strike calls against him, the second being a called strike three. In response, Lawrie slams his helmet down in frustration which bounces up and hits home plate umpire Bill Miller. Lawrie gets immediately ejected and slapped with a four game suspension. Now ponder this… does Lawrie still act out like that if there is a stronger, more positive role model in that clubhouse? Well, probably not because he’ll be all hyped up on Red Bull. But in all seriousness, you have to believe that the younger players would be less inclined to challenge the umpires and other positions of authority if they didn’t see their so-called captain do it so often. Sadly you can’t fault Bautista for not being the voice of reason and natural leader, maybe that’s not the type of person he is. He is a fiery personality, but that does not always translate into a great leader. You have to believe that Bautista would be able to curb his emotional outbreaks if he had a better supporting staff to help him vent his displeasure in a positive manner. Look at David Ortiz and Dustin Pedroia in Boston. Big Papi freaks out at a bad call and smashes a dugout phone and who is the first person to get in his face… that’s right all 5’9 of Pedroia. Maybe some more natural leaders in the clubhouse and Jose tantrum time will be a thing of the past. Trading Bautista is a lot easier said than done. It’s not easy to justify trading the face of your franchise just because he gets a bit banged up and has a bit of an attitude problem. In fact some of those surly guys tend to make great ball players (see Bonds, Barry). It’s not easy to trade a guy who when healthy is among the league leaders in run production and has 50 and 40 home run seasons on his resume. One of the most appealing things about Bautista, and the one thing that could ultimately lead to him getting moved sooner rather than later is his contract. Bautista and the Blue Jays negotiated a 5 year/$64 million dollar contract before the 2011 season. A smart move in hindsight seeing as Joey Bats had his best all around season in 2011 to the tune of .302/43/103. This year will see Jose earn $14 million followed by another $14 million paycheck in 2015, and a $14 million club option in 2016. As ridiculous as this statement sounds, Jose is a STEAL at that price; he’s practically underpaid by MLB standards. 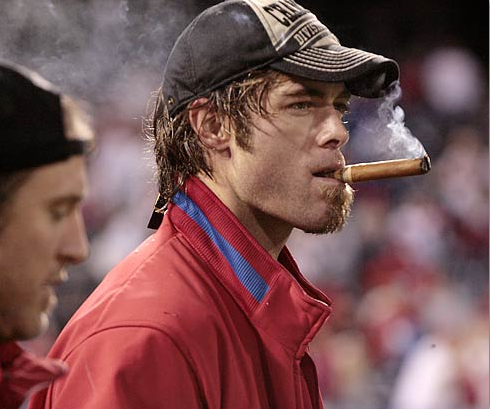 Remember, the MLB is a world where Jayson Werth is making $7 million more a season than Jose. JAYSON WERTH!!! The only problematic thing about Jose being underpaid, is that Jose is also well aware of what his “worth” is and word has it has already made more than one comment to GM Alex Anthopolous regarding the state of his contract. 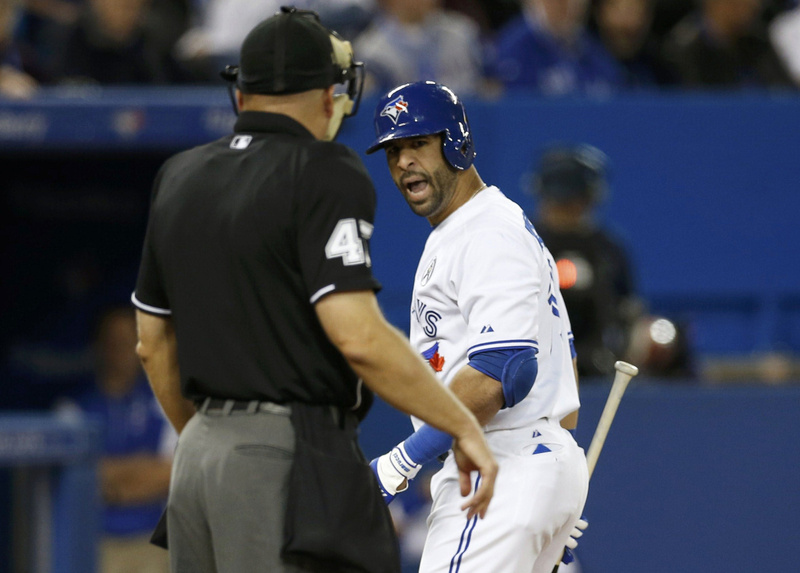 The one thing the Blue Jays do not need heading into the 2014 season is a disgruntled Bautista. As appealing as his contract is to the Blue Jays it is also VERY attractive to other teams who would love to add the services of the Dominican born Bautista. So where does that leave us? Well seeing as the only viable trade rumour thus far was the appalling Dominic Brown for Bautista one that was circulating last weekend. I would have to safely assume that it is safe to say that Jose will be donning Blue Jays blue come opening day. However, if that trade were adjusted to include a top line starter, say Cliff Lee… well than it would be getting harder to say no. Personally, as much as I love Bautista, I would definitely be open to the idea of trading him if it netted a solid return. The Jays currently lack the starting pitching depth to even think of making a playoff push. Throw that in the fact with that Edwin Encarnacion has filled in more than admirably for Bautista the past two years and it is becoming a lot more easier to say yes to a trade for Jose. Are you telling me that a trade with the Texas Rangers for Ian Kinsler and Derek Holland wouldn’t start the conversation? For now I say that we go to war with Joey Bats… well that, or until the right package comes along.